In April, I attended a workshop by Dr. Raj Raghunathan, Professor of Marketing at the McCombs School of Business and known happiness researcher at the University of Austin, Texas. His talk was on how to be happier at work. Here is the Coles notes version of what he shared. First, it pays to be happier at work. Happier workers are healthier and more productive. They are better at making decisions and creative problem solving. When you’re happy, your brain is “lit up” and working on full cylinders. Happier workers also tend to be better team players. It is in companies’ best interests to make sure their employees are happy. Find an optimal work-life balance: he recommends working no more than 40 hours a week and cited many studies where working more can actually make you less productive. Cut your commute. Commuting is a happiness killer and results in higher stress levels and incidences of sickness and leave. Promote socializing within your organization. Organizations where co-workers develop friendships have significantly lower turnover rates and higher engagement rates. Encourage people to network, volunteer for social causes together, organize retreats and team building exercises and get to know your co-workers. I asked the question how do we get organizations to buy in to these tenets? 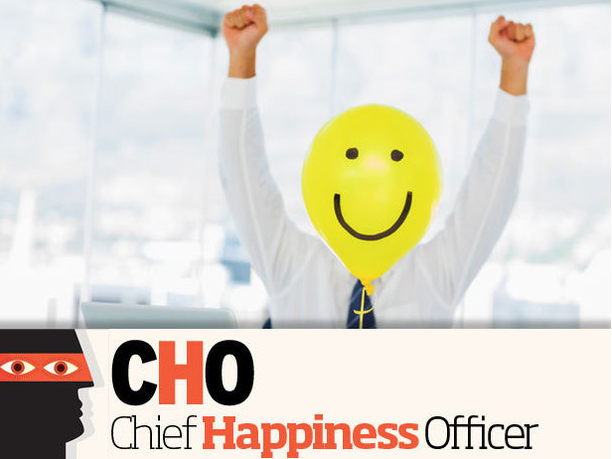 Dr. Raghunathan says every organization should have a Chief Happiness Officer and leaders must embrace these principles to drive a healthy and happy work culture. This week’s #HappyAct is to adopt these three principles to be happier at work. And if anyone is looking for a Chief Happiness Officer for their organization, I’m open to offers.